The embattled Labour leader called the Salisbury attack an “appalling act of violence” but left open the possibility that the nerve agent could have been used by someone else other than the Kremlin in his statement to the House of Commons. His reaction to Prime Minister Theresa May’s strongly-worded statement on Moscow prompted cries of “shame” from the Tory benches. The anger only intensified when Mr Corbyn’s spin chief Seumas Milne said the failure to find weapons of mass destruction in Iraq back in 2003 showed Government claims Russia is behind the attack could be wrong. During an extraordinary briefing at Westminster, he told reporters: “The Government has access to information and intelligence on this matter which others don’t. The backlash has now prompted reports Labour frontbenchers are ready to walk out on the left-winger over he and Mr Milne’s response. Chuka Umunna MP tweeted: “Have read the comments of the Leader of the Opposition’s spokesperson. Mr Milne’s comments do not represent the views of the majority of our voters, members or MPs. We’ll get abuse for saying so but where British lives have been put at risk it is important to be clear about this. 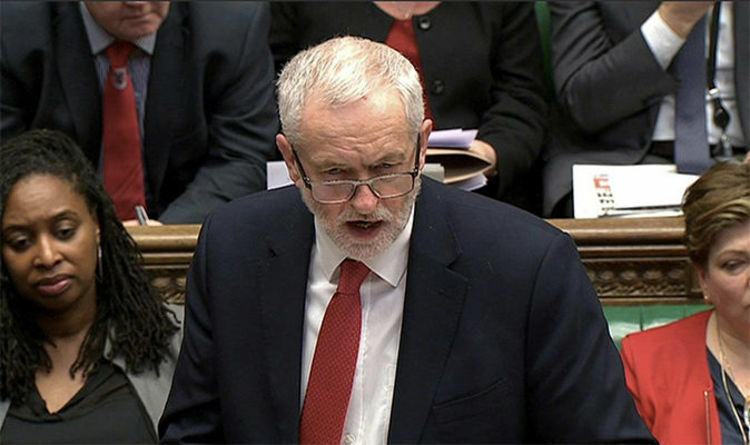 Jeremy Corbyn caused uproar in the Commons on Monday when he took a swipe at the Tories over donations to individuals linked to Russia rather than condemning the attack. He insisted retaliatory action by Britain wold only “increase tensions”.